I love bird watching and catching them in my camera. 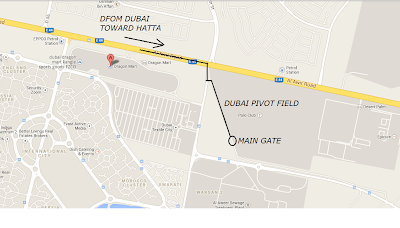 I came to know from many birdwatchers about Dubai pivot field. Dubai pivot field is a fodder growing field, which is irrigated by two centre Pivot systems. It is also home of many birds and regularly visited by bird-watcher from all over the world. I tried to get help from my colleagues about the direction but sadly no one have even heard the name of Pivot field. Last resort was Google map. It was easy to find this location. 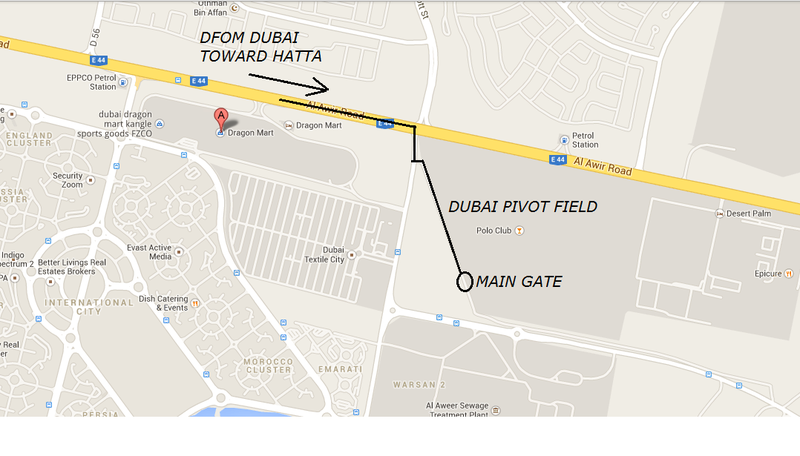 Pivot field is about 1km from the first exit on Al Awir road after the Dragon mart. There is a board of Dubai textile city near the Exit. After 100-200 m on the exit, there are two diversion one goes to Dubai Textile city and other, which follows the green tree goes to Main gate of Pivot field. There is a board of nursery on the main gate. I met few people near the gate and they instructed me to be on track and not to drive on grass I did not anticipated this field to be spread over such a large area. It was not easy to believe such a big green field in the desert and it reminded me agriculture fields of my native village in India. I could see the big Pivot with fountains irrigating and moving along the path. I started walking toward small pivot, which was not functioning that time. Smaller pivot @ Dubai Pivot Field. I saw many small birds including bee-eater, European Stonechat , shrikes on water sprinkles. White wagtail, lark and Black collar dove was abundant. There were few Gull, Sandpipers and Dove near the stagnant water from water sprinklers . I found as many as 30-40 White-tailed Lapwing Near the small pivot. I saw at least one raptor (I guess it was Greater Spotted Eagles) resting very far from me. I walked toward big pivot and saw few new bird along with red wattled lapping, grey francolin. Being a new Bird-watcher I was not familiar with few bird species. I met another birdwatcher who was looking for Social Lapwing from last two days. I found first yellow wagtail among abundant white wagtail and lark near the grass field in-front of Bigger pivot. Workers were rolling and cutting the grass and many Egret, Indian Roller and Hoopoe were following the tractor in search of their meal. There were hundreds of sparrow and other birds on the big pivot and raptors hovering above it. I watched the movement of big pivot for sometime.I left the place with the promise to come back sometime in morning to experience the Sunrise and find new birds at Dubai pivot field.